I love Kudat because it is a serene and quiet town; but lovely. 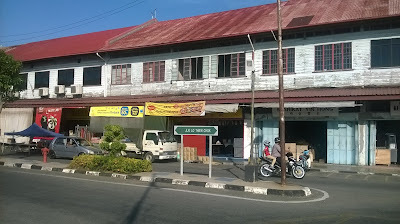 Like most small town in North Borneo (Sabah), it still have this iconic building made of wood which emphasized it's link to the British Empire. But sadly, we do not know how long these buildings will stand as both the people and the government were more concerned with concrete jungle. To my opinion, these buildings at Lo Then Chok Street should be preserved at all cost. Kudat can be considered a fresh seafood heaven because, to my opinion, the town fishing community have access to the vast South China Sea in the west and the Sulu Sea in the north. There are numerous seafood stalls along the Sidek Esplanade which serve delicious seafood. Even fresh meal could be tasted at a restaurant at Kudat Golf Club. I was made to understand much of the fish are sold in Jesselton (Kota Kinabalu), the capital of North Borneo. However, with the massive over-fishing going on as well as the fish-bombing epidemics, I don't know how Kudat could sustain itself with this wonderful gift from God. 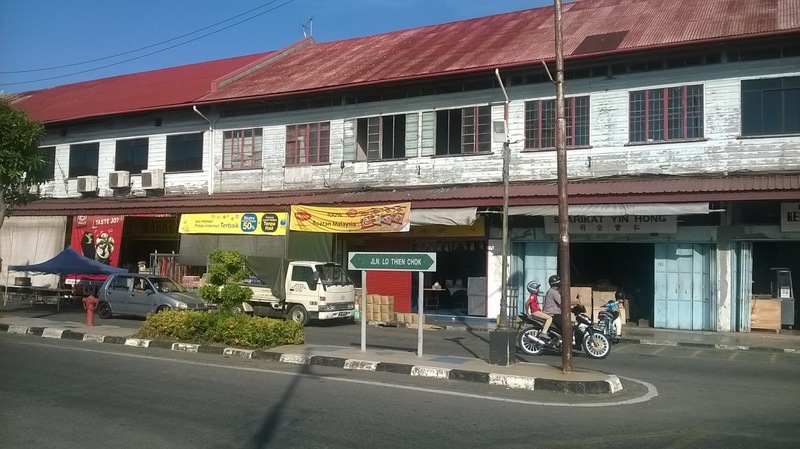 The Kudat Town was founded by the British on 7th December 1881, exactly 60 years before the Japanese bombed Pearl Harbor, which made United States entered the Second World War. In 1882, it was declared the capital of North Borneo until the British decided to move the capital to Sandakan. Traveling from Jesselton to Kudat, we will notice the vastness of grassland which I believe is unique to both Kudat and Kota Belud, another small town south of Kudat. From a distance, these grass will be mistaken for padi field. Century earlier the British too were puzzled about it, and asked the native tribe, the Rungus, what is it. The Rungus told them it was Kutat. So, that was why the town was named Kudat! Kudat is about 190 kilometer from Jesselton. The roads are good and traveling will indeed be convenience, despite it's single lane. Occasionally we will bump into road hogs that will slow us down, but most of the two and half hours trip will be fine.